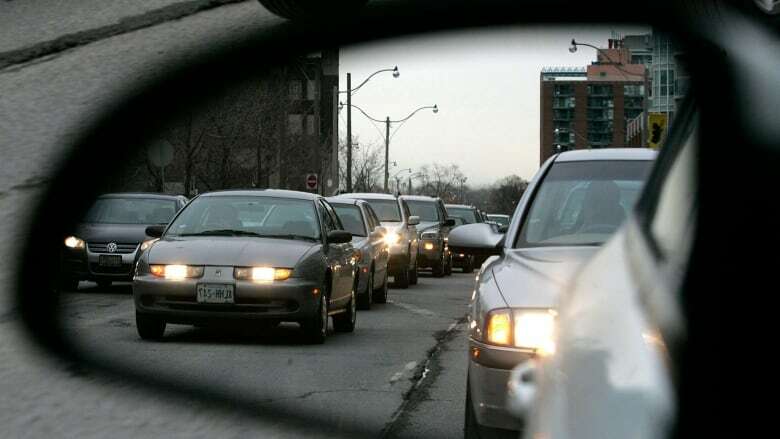 It may not come as a surprise if you live or work in Toronto, but Canada’s largest city has been ranked as the country’s second worst for traffic congestion, according to research released today by TomTom. It may not come as a surprise if you live or work in Toronto, but Canada’s largest city has been ranked as the country’s second worst for traffic congestion. A new study today suggests Vancouver is the worst city in Canada for gridlock, but that Toronto is a close second. TomTom — a Dutch-based company which specializes in navigation and mapping products — issued its fourth annual traffic index on Tuesday. According to the research, Vancouver's lack of a large highway network is part of the problem as the average person experiences 87 hours of delay time per year, based on a 30 minute daily commute. TomTom also says traffic shortcuts drivers take to avoid congestion are actually "long cuts," adding 50 per cent more travel time to journeys — a concept that is debated by some drivers like Dino Sahovic. The delivery driver prides himself as a master of shortcuts, despite TomToms findings. His mantra is 30 minutes or less. "The goal is come on time to the customer," he said after a drive around test with CBC's Shannon Martin found that some shortcuts were indeed faster — which could depend on many factors. The study also suggests gridlock on secondary roads is worse than main roads, and commuters around the world spend an average of eight working days a year stuck in traffic. After Vancouver and Toronto the list includes Ottawa, Montreal, Calgary, Quebec City and Edmonton, according to the index. In the Americas, Rio de Janeiro — host city for the 2016 Summer Olympics and the upcoming World Cup — tops the list, followed by Mexico City and Sao Paulo. Vancouver placed fifth behind Los Angeles, while Toronto was ninth and Ottawa 12th. Moscow tops the international list, followed by Istanbul, Rio de Janeiro, Mexico City, Sao Paulo, Palermo, Warsaw, Rome, Los Angeles and Dublin. "There are other things that contribute to congestion that are seldom thought about," said Vigreux. "It could be a very laudable strategy to create a lot of cycling lanes or a lot of pedestrian areas in cities. Actually, this is something that's being done around the world in the most vibrant cities, and this will have somewhat of an impact in congestion."